A rare and important game or hunting table. Rectangular and made of oak, carved with shells, scrolls foliage and mantling. She rests on four curved legs decorated with acanthus leaves and wreaths, united by a carved and « animated » strecher. The tabletop, from a later date, is in oak parquet. 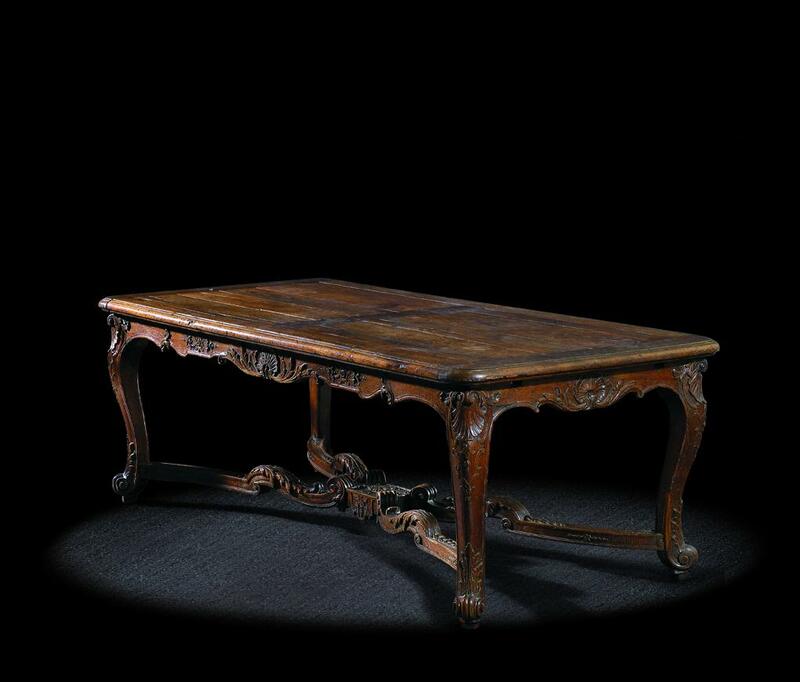 This sumptuous table possesses two leaf extensions that allows it to be situated in the grand dining halls.